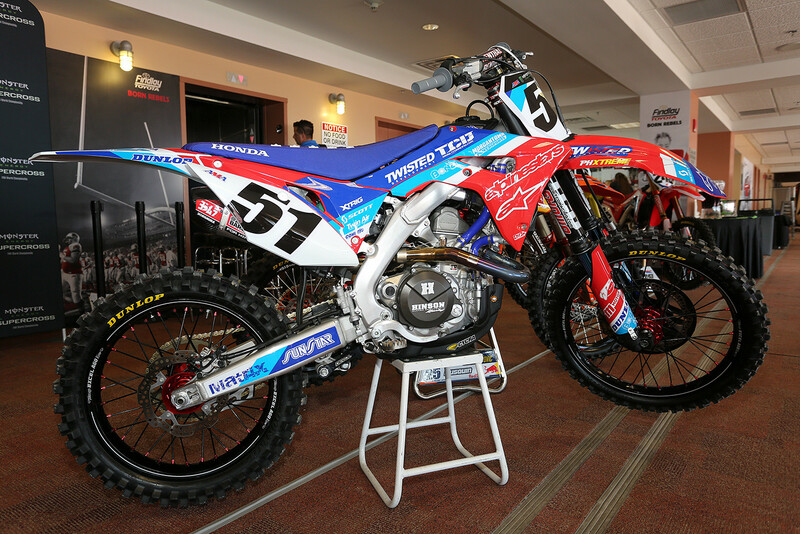 Here's a sneak peek at a few of the bikes to be raced tomorrow night at Sam Boyd Stadium in Las Vegas, Nevada. The bikes below may have new riders, some are new machines, new numbers, and some that just pop. 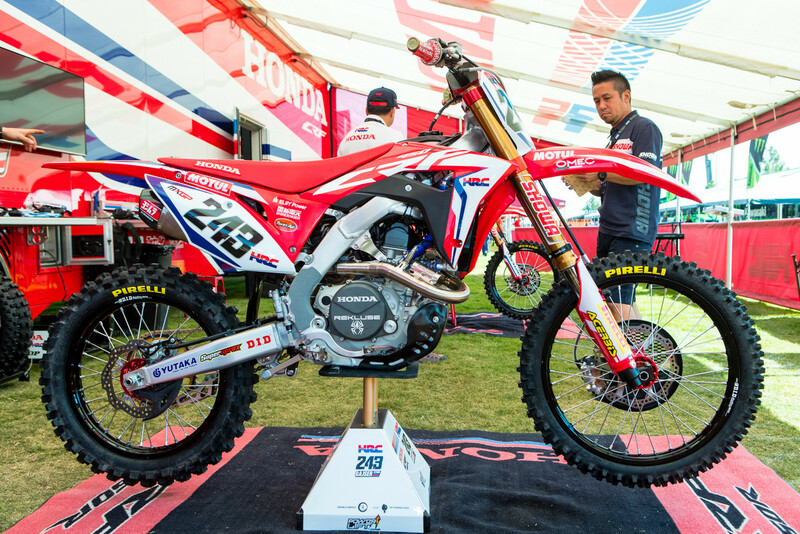 As always stop by for Pit Bits, where we'll dive into all the tech of these bikes and more...along with other gear, graphics, and helmets from throughout the pits. Bummer they kept eli's front fender green.....brand recognition or something? all matte black murdered out? Homage to a previous #3 that was known to race pretty hard. 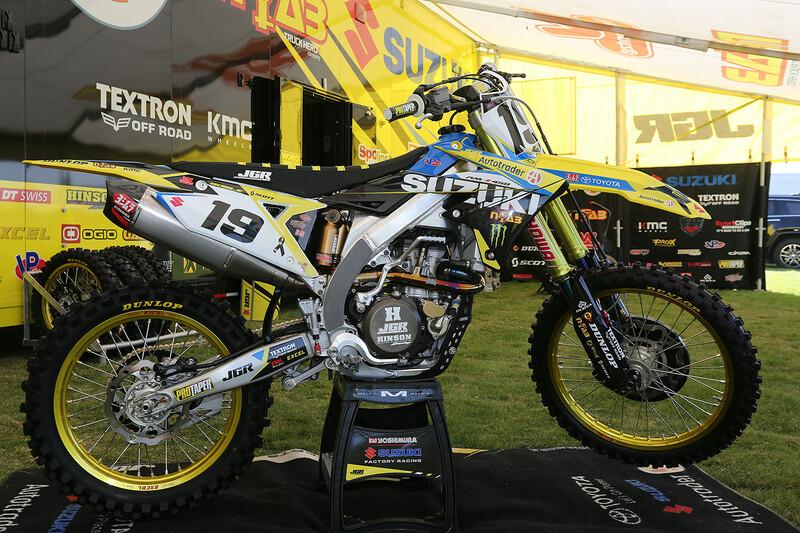 The ktm looks terrible! They could have tried harder. 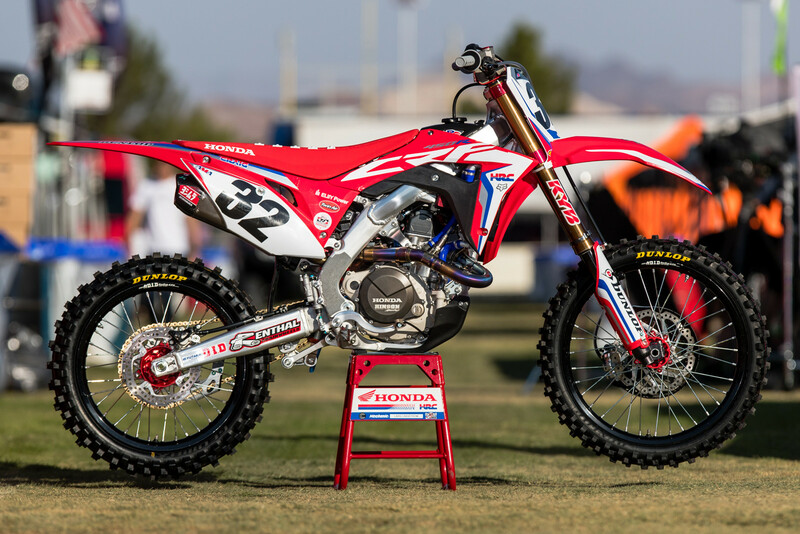 Dean just got back from England and doesn't have the testing time on the new parts that Anderson does... After the last outdoor national, Dean went over to England almost three weeks early, while Jason was doing Supercross testing. For A1, Dean will be on the new bike. Rear shock body looks interesting on the KTM and Husky something new going on there by WP and the different cylinder head is also quite impressive looks way smaller and nimble.